Vu Televisions [pronounced “view”] is a Television brand established in 2006 between California, USA and Mumbai, India which was started with the vision of building high-tech products for the burgeoning urban youth. The development of Vu’s Television products was inspired by the human factors approach of New Product Development pioneered by MIT Media Lab, Boston and innovation labs across the world. Each television produced by Vu’s factories worldwide is built from the highest A+ grade panels, with the fastest processors, RoHS-grade materials and energy efficient power solutions. Vu works closely with consumers to understand their entertainment preferences and content choices to develop user-friendly interfaces for their interaction with the TV. As of now VU is one of the most successful brand in India. It offers onsite warranty for 1 year along with an option to obtain 2 years extended warranty. 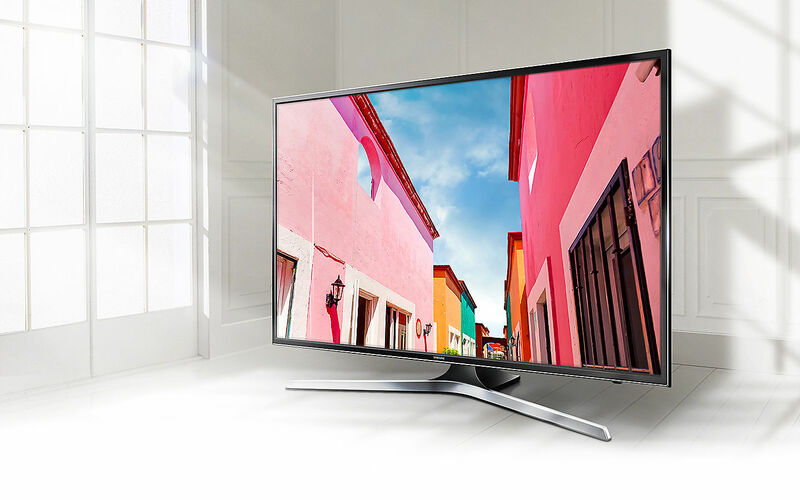 All the VU LED TV models are truly best in class and high quality Televisions. At Tvdeal.in we would highly recommend this brand to all our potential customers who are looking for a value for money LED TV in the moderated budget. Feel free to contact our TV expert to discuss further about your buying decision. Vu Premium Android 4K TV 65 inch - 2019 Latest Model 65-OA - With 3 Years VU In.. Specifications of VU 50-QDV 4K Smart TV With 3 Years WarrantyGeneralIn The Box1 TV UnitRemote Contro..